When an United States sports analytics company can claim they are the best in the world and way beyond Moneyball because of their expert sport services that combine science and technology to accurately predict human athletic performance via advance analytics in the future, it deserves a hard look by the NFL, NBA, MLB, Soccer, Motorsports and Lacrosse, plus College and Youth sports. Welcome to the sports tech company in Salt Lake City known as Prime Victus, the future of sports performance. They have generated a 66 percent better NFL Draft prediction model than any competitor because of their High RES (Rational, Emotional and Social) model developed via their long-time business relationship in Utah with The Modellers. High RES gives them a clear cut competitive edge when compared to the competitors in the space. The Sports Techie community blog chatted with long-time contact, Troy Brazell, Prime Victus CEO, about their superior insight into the decision making process of athletes and managers that uncovers drivers and motivators of any athlete, while understanding how they make their choices and decisions. The company is also targeting Fantasy Sports and wearable tech for future business development projects. The term “Prime Victus” has Latin language roots defined as: foremost/best and excel. Therefore, clients already know and customer prospects will soon find that Prime Victus accurately predicts quantifiable athletic performance in professional and collegiate sports, as the foremost (company) to excel (analytics). Using more data points allows for more predictive analytics and resulting actionable identifiers which are exactly why Prime Victus sports technology solutions are better than what others in the space provide such as Bloomberg Sports and STATS. More performance threshold models allow additional layers to be used giving sports organization additional tools not being used if you are not a Prime Victus customer. Many teams have management who at times clash with a head coach’s decision because they are not on the same page for whatever the reasons. Eliminate dysfunctional front office and coaching relationships by allowing Prime Victus an opportunity to provide team and player synergy models using the exact team intelligence the entire staff provides, in order to win games. The customized analytic results produced by this Industry leading company have been used by the NFL, NBA and some professional football (soccer) teams and clubs across multiple leagues. 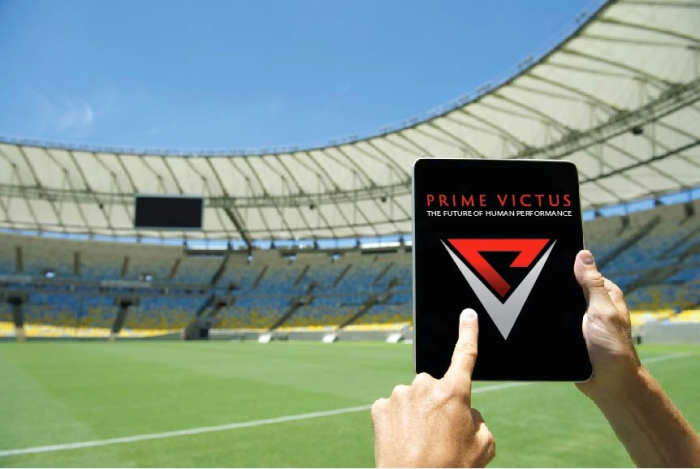 Users in the English Premier League in the UK, Major League Soccer here in the US, and Bundesliga in Germany, are helped by Prime Victus determination if players are precise fits per individual team and with their system in place. Prime Victus also identifies specific physical, mental and emotional, and now cultural, attributes required for elite performance at the league level. Integrating their sports technology system has allowed each specific individual team to gather customized data that helps figure out how a player fits within their team structure, or does not. The Modellers are a full service marketing research company founded by marketing science PhDs to help clients make better marketing decisions through the innovative application of advanced research techniques. Their High RES models provide clients with the insight needed to make superior marketing decisions by bringing the rational, emotional and social aspects of decision making into predictive models – providing clear insights into WHAT consumers really want and WHY. The company specializes in product, pricing and message optimization, targeting and segmentation and new product development research. They work with the world’s leading organizations across disciplines and industries, including GE, Coca-Cola, NBC, Disney, P&G, Microsoft, Universal, American Express, Lowe’s, Nordstrom, Capital One, Marriot, and many other Fortune 500 to SMB sized clients. On their website is NFL, MLS and soon to be released NBA case studies that document Prime Victus’ capabilities. Prime Victus has assisted in 3 Super Bowl Championships, 1 NBA Championship and more podium victories than any other sports business in North America and around the world. This sportsbiz track record is truly impressive to consider if you are an owner, general manager or Head Coach, or in the Analytics or IT departments. Scouting, trainers and medical personnel will also benefit from Prime Victus integration. “The new fields we will enter into in 2014 are fantasy sports and wearable tech,” says Brazell. Professional football teams spend millions of dollars to identify potential draft picks and free agent signees who can make the team and produce at elite athletic levels. College football programs invest coaches’ time and energy considering whether recruits are a good system fit and can handle the academic rigors of their collegiate institutions of higher learning. Youth football staffs face the serious issue of young boys and teenagers not tackling properly and taking hits in different positions, causing bodily harm and brain damage by concussions, when the stance is wrong and performed incorrectly. Prime Victus helps the pro athlete, to the college and high school player, in addition to the Pop Warner players, by generating impactful analytics-based models that address many disciplines, including attributes, characteristics and performance mechanics. The upside is saving limbs and even lives by preventing sports accidents. NFL players that can play three or four extra years at the minimum salary of $420,000 can earn an extra one million dollars, while superstars can possibly earn hundreds of millions more by staying healthy with a sound mind and body. The Prime Victus Culture Models are especially relevant to the NFL with the current league and societal distresses caused by domestic violence, sexual abuse and gender issues. A prime example to ponder is the Oakland Raiders. When considering that their players make the same kind of money and have the same kind of lifestyles as their Bay Area rivals, the S.F. 49ers, why is it that many on their current roster do not seem to want to play together as a team, while aggregating the Raiders bad-boy image to the point of perpetual losing seasons? If the league is all about wins, Brazell feels his company’s cultural data sets are helpful to administrators when deciding on NFL rookie draft rankings and selections, free agent impact potential, and even a player’s fit with a city’s vibe and loyal fan base. The Raiders fired Head Coach Dennis Allen this week and owner Mark Davis is said to be eyeing former coach Jon Gruden, seemingly happy in the MNF booth, to come back as their new coaching leader. Is he a good fit and will his culture fit with the existing players are questions Prime Victus is spring loaded to answer. The Prime Victus track record is also strong when applied to soccer. Discussions are underway with EPL and MLS organizations. Their Soccer Simulator produces amazing analytical results. Player transfers involve large amounts of money so giving and receiving teams both need to be sure about a player’s skill level, fit into a given system and their ability to play in a position required for strategic shapes. Spending or collecting player transfer money can result in a team moving up or down a division, so predicting football performance is crucial before mistakes are made that can set a franchise back for years. Prime Victus’ Culture Model is an excellent platform to rely on, especially when teams have players from a variety of counties who need to jell together, often in short time frames. The Prime Victus NBA Talent Identification modeling and the Team Synergy modeling has earned an NBA Championship ring for a team that will not allow them to use their name or logo on any of the company information. They are poised to earn another title this year as long as their owner does not spend too much time on his hit TV show. With the upcoming season NBA training camps in full swing, not a moment should be lost trying to figure out the future of human performance of not only the starting five but the eight bench players who each have critical roles, and may even be called upon to start should a starter get injured. The NBA Development League, overseas hoops leagues and trades all require attention to advanced analytics such as the Team and Player Synergy Models that help figure out if a player is a good fit for the system in place and with teammates. The Culture Model is another valuable tool when considering factors such as language, acclimation and learning abilities. The WNBA is an established professional women’s basketball league that Brazell is looking forward to communicating with and working together with this season. Brazell says with baseball, they are very good at increasing wins on several levels. Teams have ballpark considerations so some teams are offensive minded (think Moneyball), where percentage of hits to scores, on base percentage and ability to take extra bases, are critical player qualities, while others are defensive postured and need to prevent opponent from scoring, start with a core of strong starting and bullpen pitching, and emphasize filling key positions first. The Prime Victus Player Acclimation Models, when applied specifically around foreign players for MLB teams, are revolutionary. For example, understanding what International player will acclimate and who won’t, is priceless information. Determining injury propensity per player is vital to short-term and long-term success. Understanding the potential for a pitcher to injure his pitching arm thus causing the need for Tommy John surgery or defective knees can save millions of dollars and lost draft choices by knowing these high-probability outcomes in advance. Cuban defectors and other Central and South American MLB prospects often come to the US and are not able to handle the money they earn via substantial bonuses and salaries; add in the big houses and fast cars they purchase, and failure for some is predictable as is the potential for success by others. Members of the Prime Victus team have worked with motorsports teams in identifying safety both on the driver and the crew’s side. Having full confidence in your spotter, pit crew and driver create a more synergistic team, who wins. With the recent issue in the news with NASCAR driver Tony Stewart, the true nature of that accident was the temper and egos of both drivers, reckless regard for personal safety (entering a “hot track,” all very avoidable. Prime Victus also helps identify how long a driver takes to fully recover from an accident, and not just physically, but mentally and emotionally. Whether you have an Indy car, F1 team or motocross organization, be sure you are optimized with Prime Victus testing. The new Formula E circuit is a nice company fit feels Brazell. The fastest game on two feet is also the one of the fastest growing sports in the country. It also happens to be the Canadian national sport and is over two hundred years old started by the Iroquois nation native Americans. Several professional leagues play field lax outdoors and box lacrosse is played indoors. I have been a part of this fast-paced sport that has elements of ice hockey, soccer and basketball, as well as the physical play of football without all the pads, for over three decades. Women and girls are starting to learn the game at a young age and carry the stick skills, athletic moves and team strategy through tight-knit high school and college lacrosse programs. Prime Victus is cutting edge just like lacrosse in that they are both under the mainstream radar for now. Television broadcasters have seen the light and are streaming league games to smartphone, tablets and laptops for fans on the go. Just like other high-profile sports, the abundance of big data creates a plethora of stats, analysis and game-planning needed to compete at championship levels. Talent identification models are useful in finding players who may fall through the scouting cracks or can play important positions like faceoff or long stick middies, crease attack and goalie. The game is so quick defenders need to have the foot speed of a gazelle to keep up with the variety of offensive sets and defensive zones assignments. 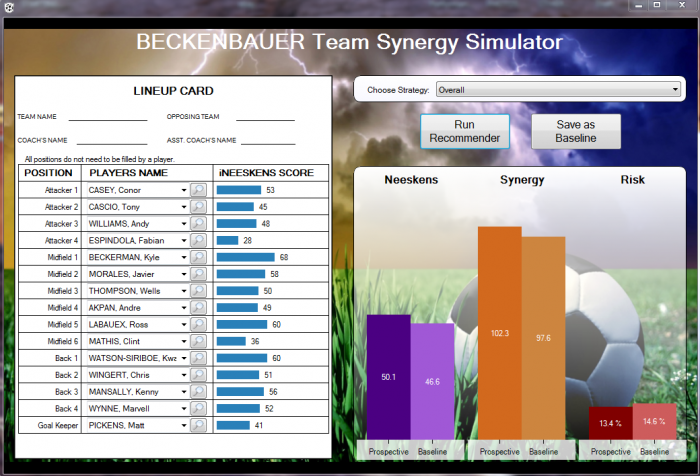 Team and player synergy models are critical for understanding how different aged players fit together. The Prime Victus culture model can identify racial, ethnic and family triggers to help make hard team-centric decisions easier knowing the facts and probabilities. I explained to Troy that I have had my thumb on the Fantasy Sports Industry for decades and informed him NFL fantasy football is projected to be an $11 billion business this year. As a result, he feels good about taking Prime Victus down the path already pioneered by new sports tech companies like FanDuel and DraftGods, and long-time rivals, ESPN, CBS Sports and Yahoo. Fantasy sports has been embraced by the leagues, just like sports tech products, as a way to enhance the fan experience and generate increased revenues. Prime Victus sees themselves as a new tool that allows their fantasy sports users the ability to sell never before seen performance evaluations and predictions as new company revenue streams. The draft, free agent pickups and trades between owners are the core ways a team is selected and maintained, so having the option available to use all the Prime Victus models and resulting metrics is truly a competitive edge for those lucky corporate customers and consumer end users, on their way towards winning the league trophy, financial gains and prestige amongst your peers. Brazell explained how Prime Victus is a good fit with the trend towards wearable tech products. They have been in discussions with several companies on WHAT data actually has value. Teams are already drowning in data and starving for intelligence. Prime Victus gives them “Actionable Intelligence.” By knowing if a team is collecting the right data, decision-makers can gather better insight using wearable tech integrated with partnered companies. Sports Techie, many sports tech companies now gather advanced analytics such as BSports but few, if any, other than Prime Victus, capture data and create a picture around it providing users quantifiable, actionable intelligence. One story to relate involves a NFL team who Prime Victus advised about a prominent quarterback during a recent draft. This impact player graded high on the physical, tactical and emotional makeup, but his emotional-measured metric levels indicated his drivers towards money and violence was a mental propensity resulting in a huge red flag. They identified triggers that predicted once the hunger for money was satisfied; the violence would need to be fed making him a high risk pick. Because of non-disclosure agreements this players’ name could not be divulged but his addiction to gambling with animals was well documented. If you have a 16, 82 or 162 game season here the U.S. or play 39 matches in the UK, or elsewhere around the world, Prime Victus can assist with match-ups by using synergy models designed to help win the match you might have lost without integrating with their advanced analytics. Olympic NGBs, the USOC and Team USA are encouraged to consider Prime Victus wares and services. The bottom line is this – when you want to gather performance data, track a player, and predict his or her future performance on the basis of physical, technical and tactical, mental and emotional data, Prime Victus is your sports technology winner. Contact Troy Brazell and tell him THE Sports Techie sent you for a discounted assessment at: troy.brazell@primevictus.com or @PrimeVictus on Twitter. Viewed your blog, and looks like we have similar but different clientele/subscribers. We may want to do some JV (Joint Venture) marketing together. I promote you to my customers, and you do the same with yours. I have over 80,000 viable emails from my work on TV, Radio and Book publications.